By her induction into the North Carolina Literary Hall of Fame, Marsha White Warren joins a prestigious group of writers of which there is a special subset—those who have built and enlarged the state’s literary community in profound ways through efforts that go beyond writing. Some writers prefer to dwell in isolation, often because of a paralyzing introversion. Other writers in North Carolina’s history wrote simply because they had to, even as they struggled to survive in the face of sinister oppression: for example, the enslaved writers George Moses Horton, Elizabeth Keckley, and Harriet Jacobs. Then there was Bernice Kelly Harris, who suffered the oppression of an overbearing husband who did not readily support her gifts and put her royalties into his own bank account. Still others in this historic literary community are known as gregarious performers, making a show of their literary prowess and other capacities to live large, such as NC Literary Hall of Fame inductees Clyde Edgerton and Shelby Stephenson. And then there are those who taught would-be writers at state universities with extraordinary generosity, such as Doris Betts, Guy Owen, Gerald Barrax, and William Blackburn. But Marsha Warren is in a different category altogether. In the beginning of her career in North Carolina she was a teacher, nurturing children in the ways of words as they read their first books at Durham’s George Watts Elementary School. Some of Marsha’s first writing was for children—her own kids and her young students. She also took to poetry, often celebrating the North Carolina she was getting to know after moving here from Ohio, where she had been raised and educated at Miami University in Oxford. But Marsha’s energy and her heart for people, for relationships, for community, ultimately led her to the fledgling North Carolina Writers’ Network. Marsha traveled the state and worked around the clock it seemed, building the Network, enlarging our membership, pushing the organization to be more welcoming and inclusive to African American and Native American writers and even to technical writers. She wrote a state arts council grant to build ramps to make the WPA-era White Cross School accessible. Step by step, year by year, Marsha helped to create a standard for excellence—the annual Fall Conference, the named competitions, the newsletter, and regional groups such as NCWN-West. She launched a writing program for prison inmates and created the Network’s critique service for writers at all stages of development. And all the while Marsha was also networking and serving as a consultant to other literary groups—in Tennessee, Massachusetts, and Idaho—explaining how this scrappy band of writers in North Carolina had created the largest statewide literary network in the nation. By building a truly open architecture based on strong relationships and generosity, Marsha Warren paved the way for the virtual capacity of the Network to keep us connected today. 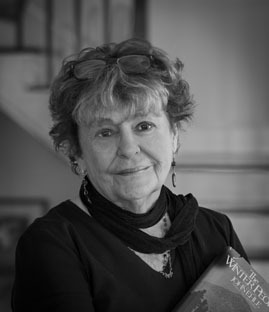 In terms of her literary output, Marsha also somehow found time to edit The Collected Poems of Sam Ragan, published in 1990 by St. Andrews Press, and together with Ron Bayes, edited the anthology, North Carolina’s 400 Years: Signs along the Way, published by Acorn Press in 1986. She was project director and head of the editorial board for the publication of Sally Buckner’s Word and Witness: 100 Years of North Carolina Poetry, and she helped to promote the staged version of that anthology called This is The Place Where I Live. She was co-director with Emily Wilson of the gargantuan North Carolina Women Writers Conference featuring Maya Angelou at Winston-Salem State University in 1992. And even before she left the Network, Marsha also took on the directorship of the Paul Green Foundation, which she continues to this day. The Paul Green Foundation makes grants to assist theatres, playwrights and social justice organizations around the country to uphold the ideals of the playwright and novelist Paul Green. Marsha, ever the collaborator, has also worked closely with the North Carolina Humanities Council, the Z. Smith Reynolds Foundation, and the state arts council to ensure that all literary voices are heard and recognized in our state.